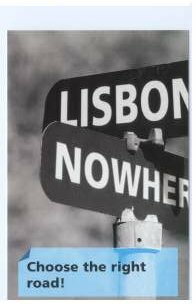 ‘I just received this letter and these pre-addressed postcards in the post this morning. I was surprised when I saw the envelope, because I’d never received anything from the BSA before. It turned out that they had extracted my name and address from the European Patents database, because I registered a software patent once. So a lot of these letters have been probably been sent out. 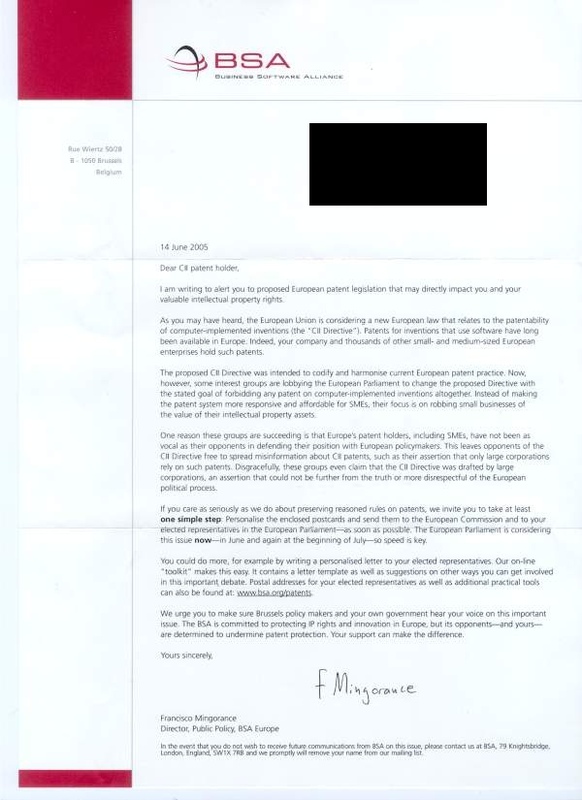 According to the letter, from Francisco Mingorance, the draft directive is being turned around to ‘rob small businesses of their intellectual property assets’. I find it hard to see how that could be true. However the BSA’s letter has an important message you should heed – it is critical to contact your European representatives (your MEP and your country’s Commissioner) within the next two weeks. Let them know that the European Union should curtail software patents for once and for all. 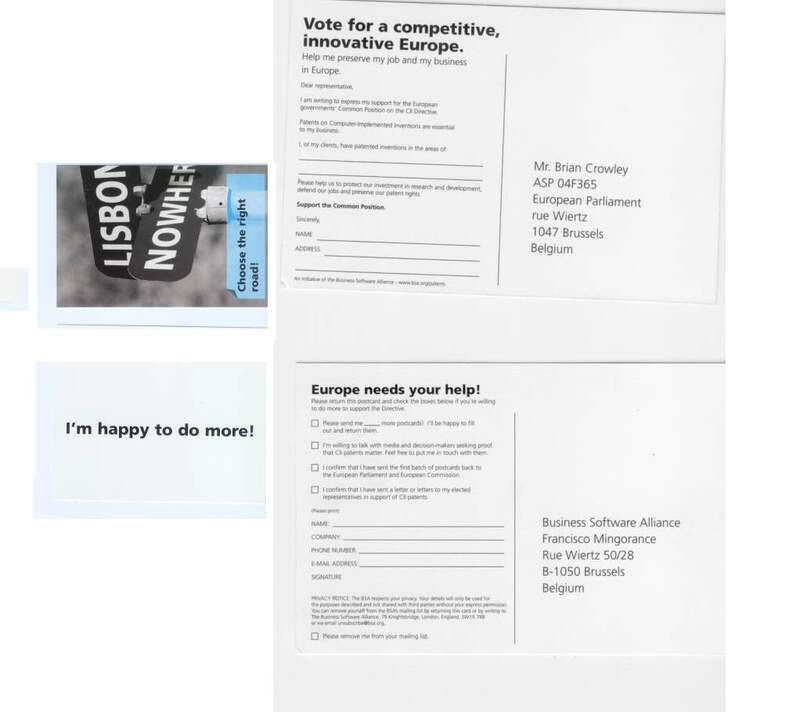 Get out your best stationery and write to your MEP at the address given on this page. Michel Rocard MEP, and/or the FFII — details here. Please do write! This entry was posted in Uncategorized and tagged bsa, contributor, european, jpeg, letter, mep, message, patents, post, sme, software. Bookmark the permalink. Both comments and trackbacks are currently closed.